It’s hard for me to write this post for one main reason: I’m a clean FREAK! FREAK! And packing healthy snacks for a road trip means my kids will be eating in the car and the car will never be clean again. But I’d rather have a messy car than a hangry [hungry + angry] toddler or husband—- boys, no matter what their age, ALWAYS see to be hungry. Am I right?! Since starting our family, much of our travel has been in the car. The kids sleep well in the car [when it’s naptime or bedtime] and it’s clearly less expensive than flying. AND I can pack as many healthy snacks for a road trip without questioning the ingredients or succumbing to a fast food option [which we do from time to time]. Whether you are packing up a camper, a car, or flying by plane, consider bringing a few of these healthy snacks for a road trip. 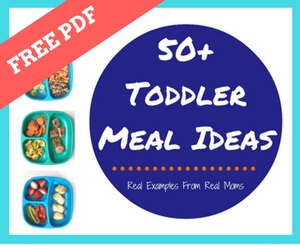 Your hangry toddler will thank me! Speaking of KIND snacks… my friends at KIND were kind enough to share some samples of bars and granola from each of their product lines. My favorite thing about KIND snacks goes beyond their great taste—- it starts with their ingredient list. KIND snacks are made with simple ingredients: nuts, fruit, and whole grains. It’s as simple as that. And as you can see from the array of bars and granola they shared with me, there’s a flavor combination for every member of your family! I personally gravitated towards the peanut butter and chocolate bars, but that’s a given. Before you hit the road I’d recommend picking up a pack or two of KIND snack bars [we get ours at Target or Meijer] because not many gas stations carry them! Ted’s favorite KIND bar: Thai Sweet Chili from the STRONG KIND line. Joey’s favorite: Salted Caramel from the popped KIND line. Some of the packaged goodies you’ll find in our car! One last thing! Don’t forget drinks: water, 100% fruit or vegetable juice, and milk boxes. Mom won’t share her coffee when the fam gets thirsty! Disclaimer: I received free KIND snacks and decided to include them in this round-up in a sensibly tasteful way. As usual, all thoughts and opinions are my own. What a great line-up of snacks. We head to the Cape and Islands on weekends and will put some of your suggestions into action (w/ a teen twist)!! Yay!! Can you pack me next time?! This is an awesome roundup! I wish I saw this before I went on my trip to arizona! Next time?! Hope you had a great trip! Good thinking on snacking to help nausea. That helps me too! So many yummy snacks! I agree that snacks should be kept to a legit snack time… That’s easier said than done sometimes but I do try to stick to that rule! Easier said than done with a cranky toddler right? All great options! I love making my own bars/bites, and of course raw nuts, hard fruits, and veggies! Great ideas! We just came back from a week away that included a 6 hour ferry/car ride there and back and we packed lots of snacks, including many of those you mention here. Hard to stick to the snacks at snack time rules but we tried our best and the itouch and iPad sure do help w that! Very good list! I am finally out of Kind bars and need to restock! My fave! I love all of the new flavors! Your guidance is very very helpful to the people of all ages. I like the rug under the Sandra Boynton books. Are you able to tell me where you got it, please?